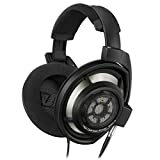 Headphone purchasing can be a very intense experience if you are buying a high-end, professional set of headphones. There are so many different brands, styles, and features that it can be a little overwhelming and when you are paying a lot of money for a pair, there is always an intense fear that you are going to purchase the wrong kind, or that the highly-rated pair you just bought is actually a piece of total garbage. So, how do you buy headphones with confidence? It’s rather easy, actually: just know what you are buying. There are generally three types of headphone styles: circumaural, supra-aural, and the horrible ear bud kind. The latter of these three will not be discussed, mainly because one rarely finds professional level headphones in the style, but also because this writer has a particularly nasty grudge against them because her ear holes are so tiny that none of them properly fit. Supra-aural: Also known as on-ear headphones, this style sits on top of the ear. They look much like the circumaural type; the difference is that the earpads are a great deal smaller. Supra-aural headphones are not typically seen in professions where the user needs to isolate all background noise from his or her hearing, because they do not cancel noise completely. They also tend to allow the noise coming from them to be transferred to those around you. However, these models do tend to have less of a chance of overheating one’s ears because they do not create a permanent seal around the ear, which means heat is allowed to escape. If you work in an environment where you need to be able to hear what is going on around you, a pair of supra-aural headphones would most likely be the style you would need. Circumaural: Also known as around-the-ear headphones, this style uses ear pads and cushioning to cover both the ear and some of the area around it. This way it creates a soundproof seal—the user will not be able to hear what is going on around them and those individuals around the user will not be able to hear the sounds the headphones are emitting. For people in industries where audio is key, such as music producers or singers, these are the ideal type of headphone because of their superb noise-cancelling ability. They are also extremely comfortable to wear because they typically feature a plush cushion all the way around the ear. However, these can make the ears become overheated because they are sealed. “Open back” and “closed back” describe the appearance and function of the outer part of the headphone cups. Open Back: Open back headphones allow the sound emitting from your headphones to leak into the outside world as well as allowing background noise leak into your headphones. These tend to give the listener a more natural and realistic sound, but they do transfer noise both ways. Semi-open: As the name suggests, this type is both open and closed allowing for a more natural sound while cancelling some noise. Anyone who tells you that they have found the “perfect” set of headphones is either lying or being hyperbolic. There is no “perfect” set of headphones. People have different needs and while one particular set of headphones may fulfill all of one person’s, they may fail miserably for another. Thus, it is important for you to understand what the right headphones are for a particular function. Vocalists typically need to be aware of how they sound when they sing to ensure that they are singing their song correctly, so they require open back headphones. Solo producers should invest in a pair of semi-open headphones, which will allow them to hear the sound they are producing and cancel other noise at the same time. Mixing requires a pair of open or semi-open back headphones so that the user can get an accurate and detailed idea of the sound and identify any problems that may be present. A pair of ear buds is also a good item to have on hand, so that you can get an idea of how the average listener will hear the final product. Onstage, performers typically utilize in-ear monitors which allow them to hear their performance and a custom mix of the rest of the band. 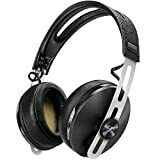 If you are mixing live sound, then you need a really sturdy pair of closed back headphones. They need to be sturdy to be able to withstand travel, and closed back so you can hear what you are doing amidst the loud noise of the band and the audience. If you know you are going to be in a situation where multiple artists or individuals will need to listen to the same sound at the same time, then you need a distribution system that will allow you to connect several sets of headphones to it in order to facilitate group listening. In all honesty, you should probably invest in at least one pair of both closed back and open back headphones to ensure that you are able to hear your work naturally but also be able to isolate yourself when you need noise cancellation.